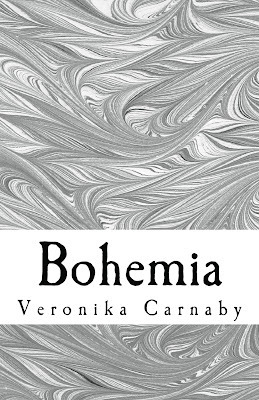 Today I am interviewing Veronika Carnaby, author of the new book Bohemia. 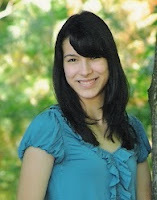 Welcome Veronika! 1) Tell us a bit about yourself and your writing. Well, Bohemia is my first book-penning endeavor, but I’ve been writing and publishing shorter stories, essays, and poems for years now. Some of my other work has appeared in SESAC Magazine, The Ed Sullivan Show, Empty Mirror Magazine, and the New York Music Awards, to name a few. I like to expand my horizons as much as possible. I’m not one for staying in the “same lane”, genre and technique-wise, so my work is rather varied. A little bit of something for everyone, I always say! 2) How/when did you first get the idea for Bohemia? It’s been a culmination of some real-life experiences coupled with a true adoration for the culture of the 1960s. I had a few false starts in the beginning, but it flowed out of me quite smoothly and quickly after I balanced myself. 3) Does the novel reflect any personal experiences? Many of the scenes have, in fact, been inspired by some of my own personal journeys. It’s still a fictional work, but like most art, it’s one that’s very much based on people I’ve met, places I’ve visited, and situations I’ve experienced throughout my life. I’ve found that in doing so, it makes for not only an intriguing story, but a relatable and genuine one as well. 4) How do you envisage your characters living if the book was set in the current year? Interesting question. I can’t say that I’ve ever considered that before, since I have to be in a constant twentieth century mode while writing and assuming their roles. To be honest, it’s not something I can visualize, because I’ve crafted them for the ‘60s and that’s really the only time they exist in my mind. Of course, the reader can go beyond that, pick out a character, and say, “That’s me today,” or “That was me fifteen years ago.” They have the power to take Valerie, Roxford, or Gill out of the existing time frame, but I think it’d be more difficult for me, having created them. It’s a bit like asking Mark Twain to modernize Tom Sawyer. 5) What genres do you enjoy reading and who are your literary influences? As far as genres go, ‘eclectic’ would be the way to best describe them. I enjoy reading everyone from Salinger, Joyce, and Twain, to Fitzgerald and the Beats. Every one of those authors and more that stretch beyond the ends of this Earth have influenced me, each in different ways. The Beats have been an especially tremendous influence and I’ve recently become even fonder with Mark Twain. 6) What are your future writing plans? Chugging ahead with my next book at the moment and some poetry on the side. You’ll be reading a lot more from me in the coming months and years. 7) Tell us a little known fact about yourself. I received one of my first writing awards in the fourth grade, after having written a brief story. It was announced in front of the entire school and, in addition to a medal and a certificate, I received the opportunity to meet a local children’s author. I cherished that moment now and then. It truly was an eye-opening experience and I guess it led me onto the right path! Firstly, I’d like to thank them for their interest and for reading Bohemia. It’s always an honor for an author to connect with readers and we can do that through my official website, Twitter, Facebook, Amazon Author Page, and countless other links that are listed on my site. I can’t wait to hear from the readers! American author and poet, Veronika Carnaby, possesses a vintage charm that transcends well into her written works. Recognized for her Beat-style prose, her pieces have garnered international recognition after appearing in such publications and functions as The Ed Sullivan Show blog, SESAC Magazine, SXSW, Dan's Papers Literary Journal, and the SESAC New York Music Awards, among others. Whether penning poems, short stories, or novels, Carnaby infuses her writing with a poignancy and passion for 20th century culture.